Hey guys, Hai Nam here, I just wanted to let you know that I like these games: Dead By Daylight, Halo, Clash Royale, Rainbow Six Siege, Minecraft. 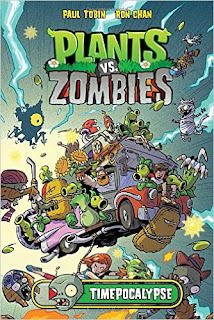 Hi guys, I'm recommending you guys to read "Plants VS Zombies, Time-apocalypse", it's a great adventure book, definitely with zombies, plants shooting and more! There is a first part in sale so go check the "Plants VS Zombies Lawnmageddon!" So this is for all age, no inappropriate stuff and a comic book! So I was reading at school, the book I was reading was "Zita the Space girl" Which is a quite good book, it's a girl Zita named and a boy named Joseph, the found a portal and Joseph got caught by a mysterious thing in the portal! 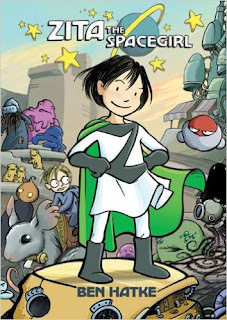 It's up to Zita to save her friend, on the way, she made friends, had to fight and more! I think this book is for all age and it is a adventure kind of book, and it is not blood stuff, inappropriate, and can be read when doing anything! Just please don't judge me! To be Creative, you need to think Creatively, and use your imagination. You can be creative like me, doing amazing coding, and spread your imagination to your world, this is just a writing note so everyone can be creative!!! !